Over the past decade the Korean auto industry has shown vast improvements. Most of the cars coming from the Korean peninsula more than a decade ago were considered cheap throwaway cars to be driven until the warranty expired and then tossed on the scrap heap. Nowadays, that’s a different story. Manufacturers like Hyundai and Kia have shown significant increases in quality and reliability without the huge price hikes that typically come with them. After gathering information from reliable testing sources like Car and Driver, Consumer Reports, Edmunds, and Motor Trend, we’ve brought you the list of the best Korean cars for the 2010-2011 model years. The Genesis comes as close to being a luxury car without actually being a luxury car as one can come. It features either a 3.8L V6 or 4.6L V8 engine, both of which are smooth, powerful, and compelling. Estimated fuel economy from the V8 is an impressive 17/25 mpg (city/highway). It is also one of the safest vehicles on the road, earning a perfect five stars in all government crash tests. The steering is light and precise, and the ride is on par with luxury sedans costing twice as much. 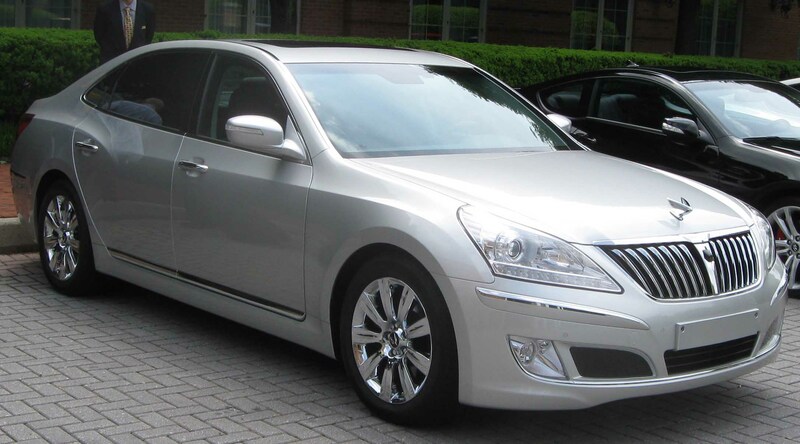 The Genesis is not only the best Korean-made car available, it is one of the best all-around values as well. The Forte is probably one of the most improved vehicles to come out of the Korean market to date. It’s not overly powerful or incredibly luxurious, but it is very economical and its reliability is definitely above average. If you opt for the SX model you’ll get the sport-tuned suspension which will take care of some excessive body roll and bouncing over bumps. The interior is nothing to brag about, but it features a clean layout, clear gauges, and quality materials. It also features Bluetooth standard on all trim classes. The Equus may seem significantly priced for a Hyundai, but don’t judge a book by its cover price. With plenty of power and an extensive complement of features, along with fine build quality, this Hyundai is actually turning some heads. The 4.6L V8 engine is good for 385 horsepower and 333 lb-ft. of torque, but it’s the interior that makes this one so attractive. The quality of materials is superb and design is very user-oriented. The twin rear seats are both heated and cooled as well as recline and massage; they are also incredibly roomy. This may be a steal at the present time because if the quality maintains, the price will rise. “The Soul is the first Kia to appeal to one’s emotions as well as more practical concerns like value, features, space, and warranty. It is definitely worth a look.” (www.edmunds.com) The 1.6L and 2.0L four-cylinder engines both provide ample fuel efficiency and decent power for this size vehicle. The amount of interior space is extremely impressive for a small car and features a bit of flair in its design. There is an ample amount of legroom and headroom is at a premium due to its boxy styling. Ride quality can get a bit bumpy, but handling is aggressive and well-tuned.